Who love sweets? I do! So when the lovely Jodie from The Treat Kitchen emailed me to ask if I wanted to try some sweets, I would never have the willpower to say no! 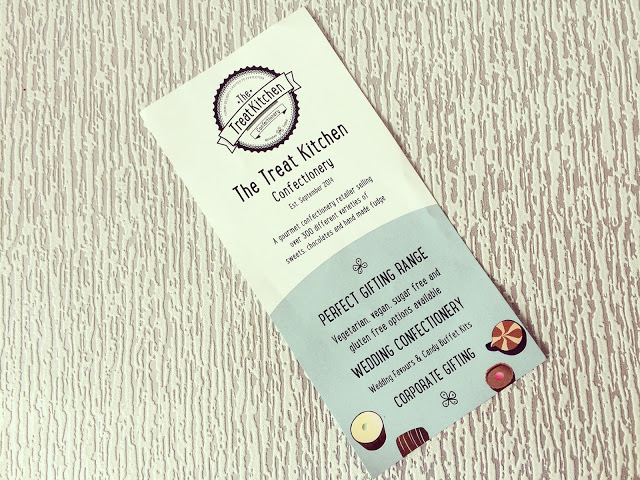 The Treat Kitchen is a confectionery retailer with stores already in Nottingham, Leicester and Derby, none of which are near me! However, the company are opening two new stores very shortly in Coventry and Meadowhall, Sheffield which is a lot closer to Hull than the others! Meadowhall is one of my favourite places to shop anyway but I will definitely be going to visit The Treat Kitchen when it opens! 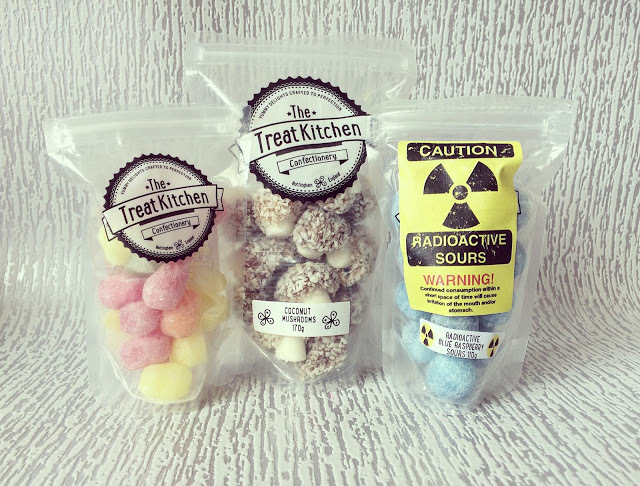 As you can see from the lead photo, the retailer sells a range of sweets; it specialises in four categories: traditional boiled sweets, sweet shop heroes, radioactive sours and chocolate delights. Unfortunately, I forgot to mention to Jodie how much of a fussy eater I am so when the package arrived, it turned out that I didn’t actually like any of the sweets! However, Mummy and Daddy Reed were more than happy to be my reviewers! Dad: Bloody hell, they’re rather sour. Bit too much for me. They taste lovely afterwards though! I’ll take them to work and see what they think. Mum: Not for me, I feel like the sourness has gone up my nose! Mum: The colours look more vibrant than the cheaper supermarket ones. The flavour isn’t too strong but just enough. Normally they’re a bit too big as well but I like these miniature. These are all for me, no sharing. Mum: These are delightful. I love the soft centre in these and it blends in lovely with the coconut shavings. I also got sent a couple of the chocolate delights but Mum had those as soon as I opened the box! I don’t think she realised that they were boozy truffles though and no-one in our house drinks alcohol so serves her right! She tried a whisky one and a strawberry & champagne one and said both were very rich! After receiving the box, I decided to have a proper look on the website. I loved that each sweet comes in a smaller pouch form as well as jars. These would be perfect for gifts at Christmas time! 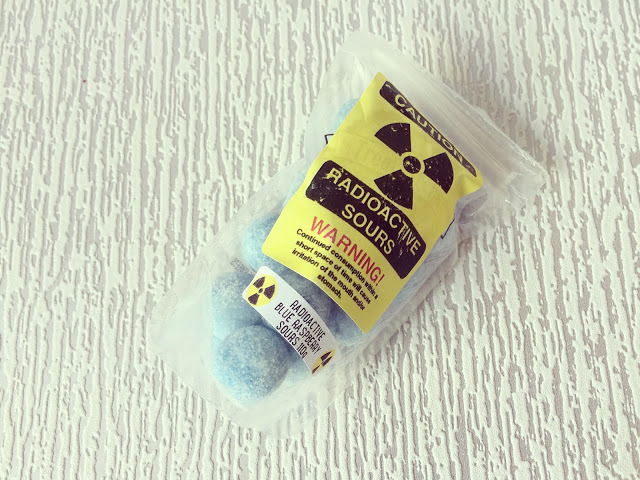 As well as regular sweets, the retailer also produce sweets that meet dietary requirements. They stock a selection of sugar-free, egg-free, lactose-free, gluten-free and gelatin-free which I’m led to believe that not many sweet shops stock! If you want to visit the new Meadowhall store, it opens on Saturday 3rd September at 9am with the official ribbon cutting taking place at 11am. Unfortunately I shall be working but I will be visiting as soon as I can! The best thing is if you go on train, it will be one of the first stores you go by! It’s situated near Millies Cookies as you go down the escalator in front of Marks & Spencer. Make sure to follow the shop on Facebook, Twitter and Instagram! 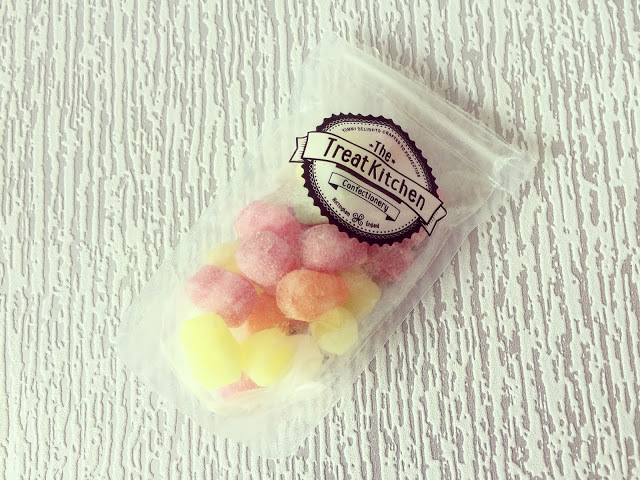 I’m genuinely hoping that The Treat Kitchen will open up in Hull soon so I can make it my go-to sweet shop! 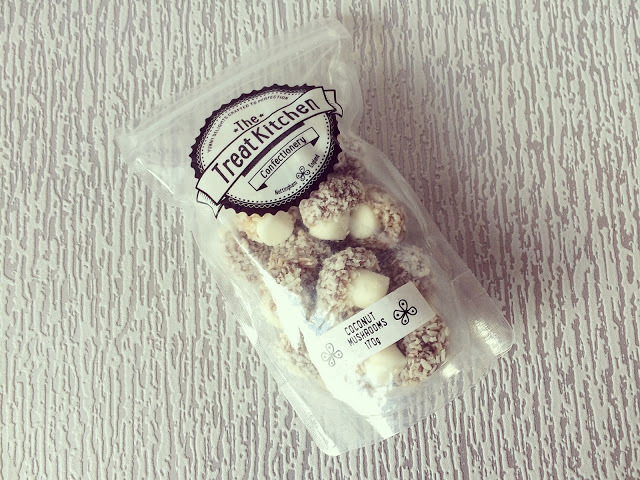 *Thank you to Jodie at The Treat Kitchen for sending these goodies! All views are my own!